Member of the Management Board, Discovery & TVN in Poland, responsible for all the operations, technologies and development of the Digital segment. His professional career started in 2000 in the marketing department at Onet S.A. where he oversaw all key projects. 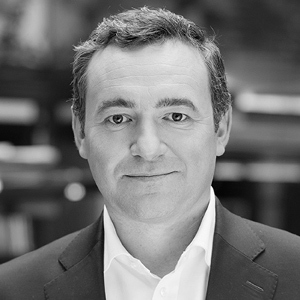 He joined TVN in 2004 as Marketing Manager responsible for thematic channels: TVN24, TVN Style, TVN Turbo and TVN Meteo. In 2006 he became TVN Turbo’s Channel Director and took over the responsibility for TVN24.pl news portal. From 2008 to 2011 he headed the on-air and on-line operations of TVN Warszawa. In 2011 he was named the Deputy Programming Director responsible for thematic channels: TVN 7, TVN Style, TVN Turbo, and iTVN. Over the years he also managed TVN’s distribution and digital activities. In 2017, he successfully launched HGTV Home & Garden in Poland. Maciejowski is graduate of Warsaw-Illinois Executive MBA. He also studied journalism at the Jagiellonian University and media management at the Higher School of Business in Nowy Sacz. In 2009 he participated in U.S. Department of State’s “International Visitor Leadership Program”.